A new Tivo remote control app called TivoMote has been developed by David Mendlen, Senior Director of Developer Marketing at Microsoft, that now allows you to control full control of a Tivo DVR from your WP7 phone. 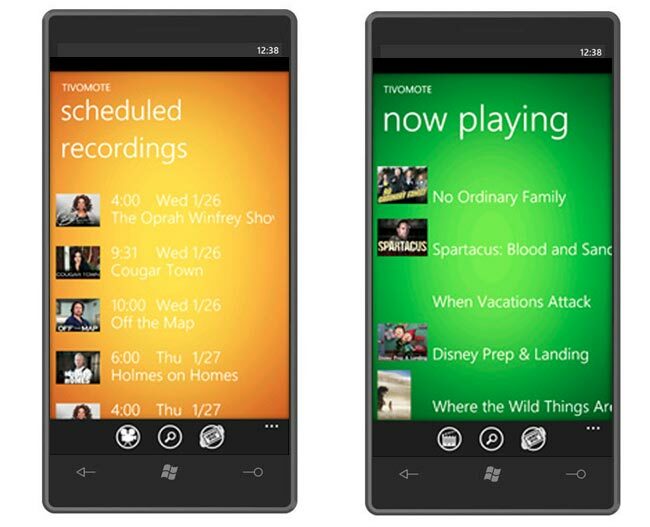 The new WP7 TivoMote app works with Series 3 and above Tivo HD boxes and allows you see what’s already recorded on your Tivo, search for new shows and even record them from your phone or see what TV shows will be recorded next. The new app give you access to your Tivo even when your not in front of it allowing you to find new content and schedule shows to record whilst out of your house directly from your Windows Mobile Phone 7 smartphone.